Disclosure: This is a sponsored post for SheSpeaks/Febreze; all opinions expressed are my own. I have to be honest: November's hit me like a mack truck, and I find it unreal to be able to say that Thanksgiving is in a few weeks and Christmas is next month. We're hosting our largest Thanksgiving yet and one of my favorite things about the holidays are the amazing smells. Febreze's Limited Edition Home for the Holidays Collection captures this with scents like Frosted Pine, Apple Tart, Toasted Almond, Vanilla Latte and Sugared Cranberry. 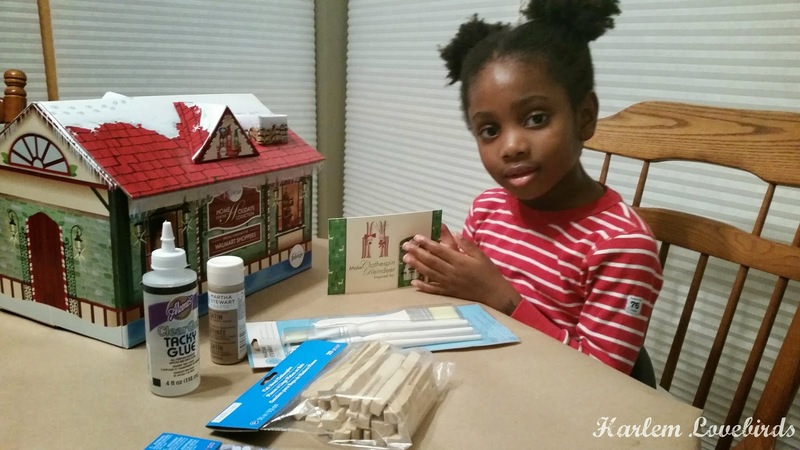 When our scentspiration box arrived Nia had a hard time waiting to open it - it was her first inkling that the holidays are around the corner! 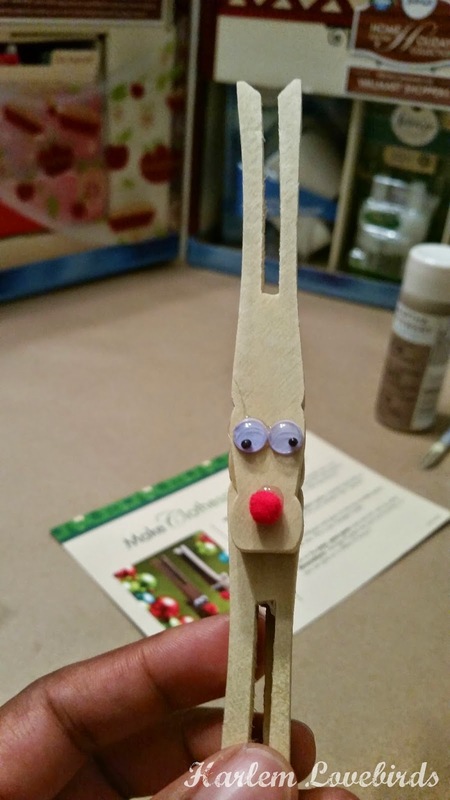 We went through the included activity cards together, and Nia decided to create Clothespin Reindeer. I remember making one of these when I was a preschooler (my mom saved it!) and Nia upon seeing reindeer hoof prints on the rooftop of the scentspiration box deemed our craft appropriate. If you want to recreate these you can add pipe cleaners for antlers, paint them and even add mini-jingle bells! We have a few supplies left over, and I'd like to paint a the reindeer brown like the craft instruction card and add some ribbon to hang them. It'd be the perfect gift for Nia to give her relatives! 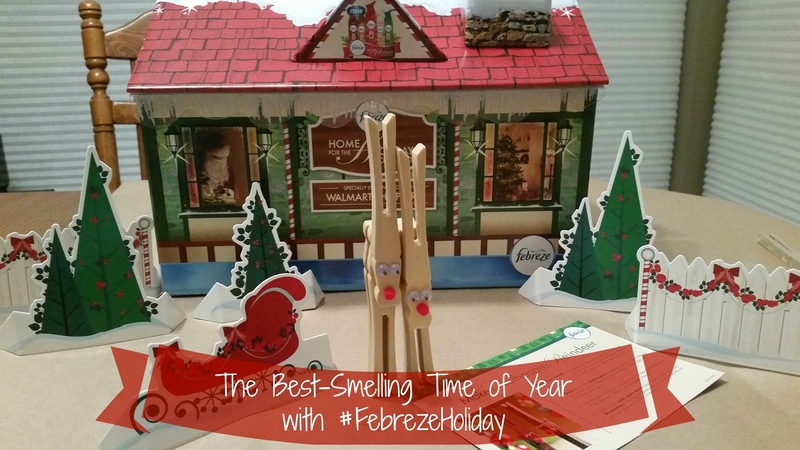 When doing these types of holiday crafts Febreze makes it very easy to get into the spirit with their festive, yet pleasant scents. We won't be getting our tree until after Thanksgiving, but we've jump started the scent of Christmas with Febreze's NOTICEables Frosted Pine scent. I'm sensitive to scents that are overwhelming, and I like how subtle Febreze's scents are. They're not overly sweet or cloying. The Apple Tart scent makes me want to start baking, and the Toasted Almond makes me feel cozy, especially in our New England climate (can you believe it snowed here yesterday?). 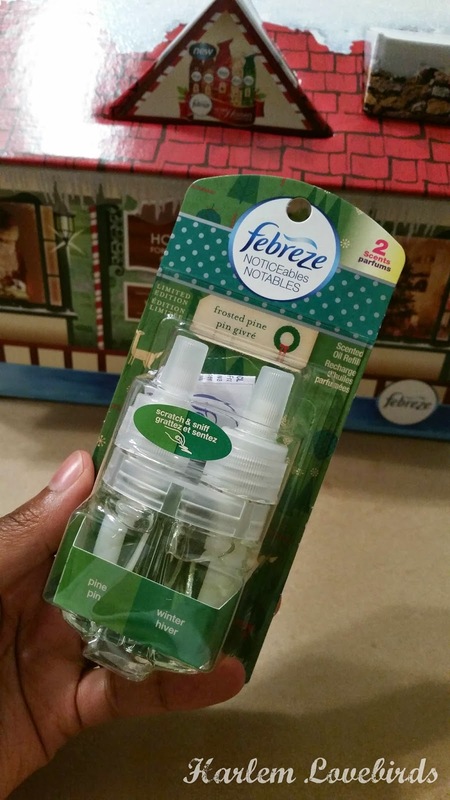 If you want to get into the holiday spirit with Febreze you can find their Home for the Holidays scents exclusively at Walmart, and be sure to follow Febreze on Facebook and Twitter for the latest product news. Which holiday crafts are you making this season? Do you have a signature holiday scent - are you more into sweet scents or spicy scents?